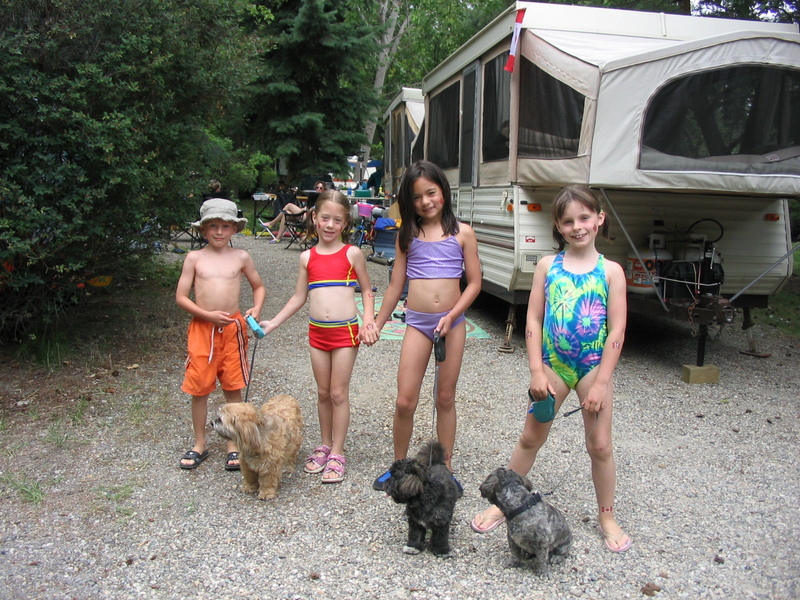 When our kids were young we kicked off summer by heading to Bear Creek Provincial Park for the Canada Day long weekend. It felt like the official start of summer and you could almost be guaranteed to have good weather. Kelowna has a great Canada Day Festival in town with lots to do for the entire family and even without Canada Day you will most certainly be able to find something fun to do. The last time we were at Bear Creek was in 2004, this is largely due to the fact the park is hard to reserve, but these notes are based on those trips so the next time I am in Kelowna I will go back to check it out again. 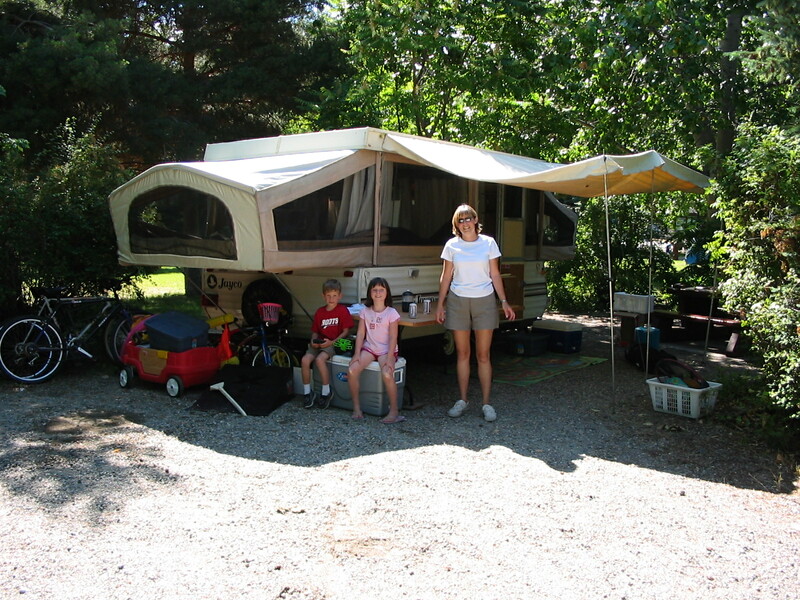 This campground is great for young families. 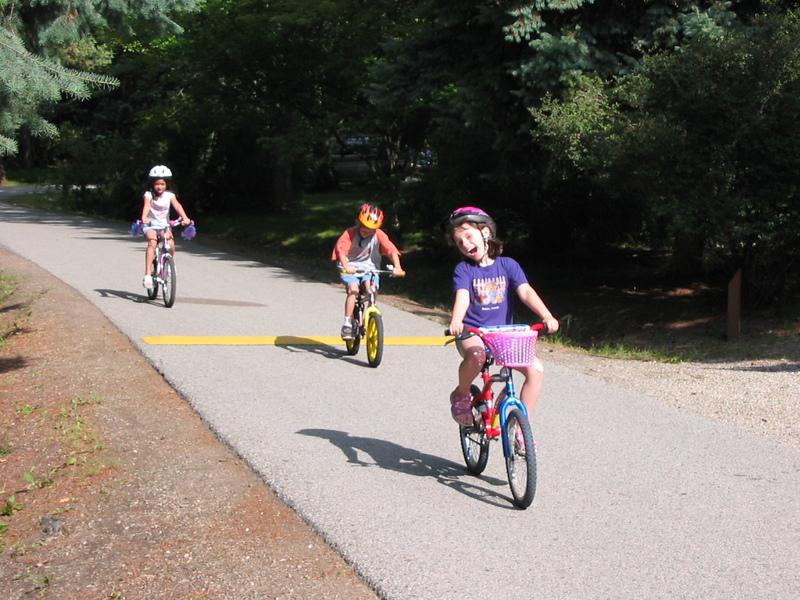 At least back then, the roads that looped around the campsite were one way, paved and flat so it’s was great for biking. There was also lots of green space and park area for games of bocci and lawn darts. They use to have a great kids program that we would go to every night and on Canada Day you could sit on the beach and watch the fire works in Kelowna. Bear Creek is also a short drive into West Bank or Kelowna so if the weather is not great it is easy to find something there to do. 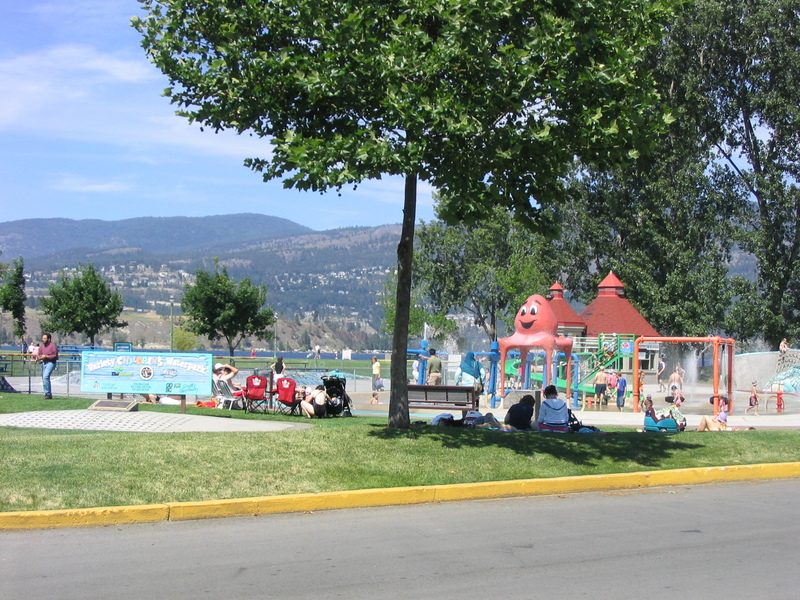 This campground is right on Okanagan Lake and it has a great beach. The only down side is that it is on the side of the lake that gets the shade in the afternoon and because the lake is so large it can be cold early in the summer season. There was also tons of goose poop on the beach and grass area so that was a bit gross. The sites at this park are small but they are private and many back onto green space. We really only stopped going because the park was so popular it became impossible to get reservations at. There is an overflow area but back when we went it was just a large parking lot type area, not a destination to head to. Here is my advise for this campground. Recommended Sites: If you want a double site I would pick 57/55 or 30/31 if you want lake view but are okay to give up some privacy, they are large sites with great views. For privacy, pick sites 52/54. The sites in the first 2 loops offer good shade but if you get into the 3rd loop (81-122) this is a newer area and if I recall it was a bit more open and much sunnier. In Kelowna shade is appreciated. For single sites try and get sites 58 or 59. Both are close to everything and 59 still offers good privacy. Very hard to get into. Sites in loops 81 – 122 are not very treed.